In the 19th century, the port of Horta became an important port-of-call for the American whaling fleet that crossed the North Atlantic and where they could discharge the processed whale oil on board, refuel supplies and recruit crew. This often clandestine recruitment, marked the beginning of the first wave of Azorean emigration to the United States of America, mostly to the east coast and, in particular, to the city of New Bedford, the Capital of the American whaling. The existence of this secular relationship between the USA and the Azores, particularly with the city of Horta, was crucial for the opening of the second wave of azorean emigration, as a of the eruption of the Capelinhos Volcano in 1957, materialized with the help of then Senator John F. Kennedy and Senator John Pastore of the State of Rhode Island to the U.S. Congress approved the "Azorean Refugee Act", on September 2, 1958, which authorized 2,000 special immigrants visas without contingents and opened to many Azoreans new opportunities. 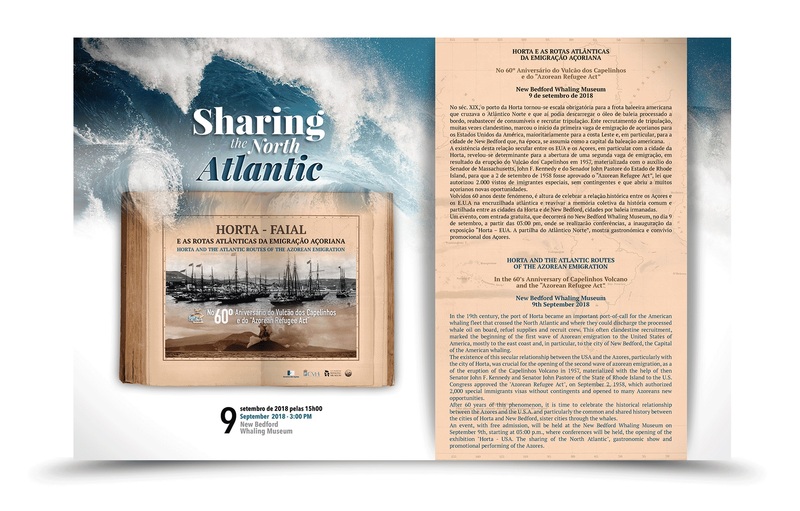 After 60 years of this phenomenon, it is time to celebrate the historical relationship between the Azores and the U.S.A. and particularly the common and shared history between the cities of Horta and New Bedford, sister cities through the whales. An event, with free admission, will be held at the New Bedford Whaling Museum on September 9th, starting at 03:00 p.m., where conferences will be held, the opening of the exhibition "Horta - USA. The sharing of the North Atlantic ", gastronomic show and promotional performing of the Azores. Organized by the City of Horta and the Executive Commission of the 60th Anniversary of the Capelinhos eruption.